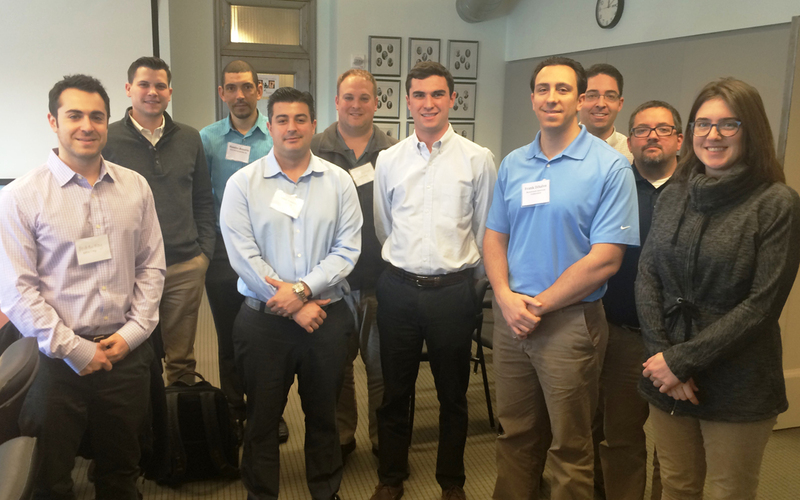 Nearly a dozen transportation construction industry professionals attended ARTBA’s March 29-30 Project Management Academy in New York. Road and bridge building managers from Skanska, Moretrench American Corporation, ECCO III Enterprises, Inc., DeFoe Corp, and Grace Industries LLC, sharpened their skills in construction documentation, business ethics, management and leadership in the workplace, economics of safety, construction contract clauses and building effective client relations. The two-day academy was hosted at the headquarters of the General Contractors Association of New York, one of ARTBA’s chapter affiliates. Additional academies are being planned for this fall with other chapter affiliates. To learn more about ARTBA’s continuing education programs, please visit www.transportationbuilderinstitute.org; or contact me at arose@artba.org, or 202.289.4434.